That leaves me 5 hours. On Tuesdays, when I have childcare only in the afternoon, that pretty much eats the entire five hours. I don’t get anything done on Tuesdays. So when I was trying to figure out where I went wrong and why I couldn’t complete this god awful model that looks like a kindergartener built it, the math made sense. BECAUSE THERE IS NO TIME! My mom suggested supplementing with formula to reduce pumping time. It was an innocent and well-meaning suggestion, but it made me want to cry. Infant formula today is not what it was when I consumed it back in 1983. My curiosity on infant formula began when I read the ingredient label on the back of a can at the grocery store. Two items stood out as odd to me: Brown rice syrup and palm oil. Uh….what? I came across a guest blog post on this site by Charlotte Vallaeys, the Director of Farm and Food Policy at the Cornucopia Institute. You can find the background research on the Cornucopia Institute’s website. I had reason to be wary. Infant formula manufacturers used to only use lactose in formula, but to cut costs, introduced other sweeteners such as maltodextrin and brown rice syrup. Human breast milk is much higher in lactose, hence why it is so sweet. But since lifetime taste preferences are set in infancy, public health officials are wary of sweetened infant formula. To mimic palmitic acid found in human breast milk, some formula manufacturers add palm oil. Palm oil is not easily digested by human infants, and the excess reacts with calcium to form a soapy residue in the gut. Having experienced my fair share of illness due to a less than stellar gut, this also scares me. DHA and ARA are important fatty acids for infant brain development. However, formula manufacturers in the US extract these fatty acids from algae and soil fungus using neurotoxic solvents like hexane. Again… what? The Cornucopia Institute has lodged a complaint with the FDA. I’ve long been upset with the USDA for inadequately enforcing organic standards. The organic infant formula issue is a colossal failure. Europe has more stringent standards and I will be looking into options for purchasing organic infant formula. I’m not sure how much longer I can keep up exclusive breastfeeding. I get why people take a year off after childbirth in more civilized places like Canada. This is not how I envisioned my grad school career. My type A visionary self is dying a slow and miserable death. I want to pour my all into my work, not just to excel, but to fully reap the benefits of my education and create something meaningful. 5 hours a day isn’t going to cut it. Time to accept mediocrity with open arms and focus on my priorities: My baby, my husband, myself, my thesis. 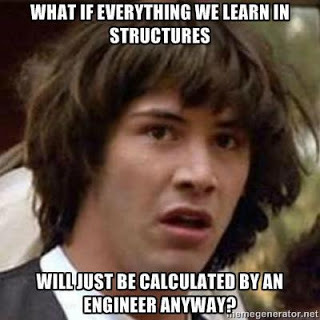 Oh yeah, and pass Structures. Barely. Your post really resonated with me because my daughter-in-law just switched to organic formula for her six-month-old son for many of the reasons you did. I’m frankly appalled at the ingredients that are considered okay for infants. So many adults have gut issues that certainly must have their roots in childhood nutrition (through no fault of their parents, I might add). I know I fed my children cow’s milk as toddlers because it was “good for them,” but wow, do I ever wish I could go back and undo that! I wish you all the best with your overflowing plate! And remember, that judgmental professor will never remember who you are, but you are your child’s whole world. It’s a meager suggestion, but maybe–with all your spare cash–try to buy as many food items that are already put together and easy to snack on while you’re commuting or walking to and from the conference room, or doing your reading. It’s not ideal, of course, but you’ll have a holiday break soon, if you can just hang in there through the grind! You can do it! I may have to put off the gut bacteria treatment plan until then Mary, because I certainly don’t have time to stick to the diet! you’re running on fumes. If you ever need to talk, I had a baby on xmas break in my first year of grad school and a preschooler so I totally get it. She is now on formula. Is it ideal? Probably not. But we all sleep more and I got my brain half-way back to where it needs to be. Taking time off is a good choice too if you can. But I was off for two years with my first and while he got what he needed and deserved, I was drowning and completely lost to the world. Thank you! I feel a bit stupid because I donated my excess milk (360+ ounces) to a milk bank without checking to see how much I had left in my regular freezer (30 ounces.) Oh well. I Skype-left-a-message with Hipp Organic infant formula in the UK to get clarification on their vegetable oils. Hopefully they do not use palm oil and I can order that. How I miss sleep. My classmates aren’t sleeping due to school. I’m not sleeping due to a growth spurt.